Chris Duggan is Vice President of Business Development at Dart Enterprises, responsible for the strategic oversight and implementation of the Dart group’s overall Business Development strategy. 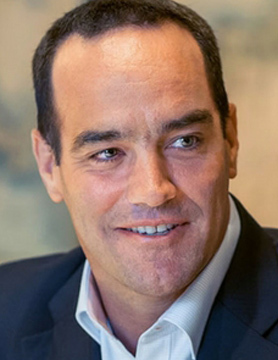 Chris was previously Vice President of Community Development and also Vice President of Investment Operations at Dart Enterprises and has been employed in the Cayman Islands Financial Services Industry for the last 17 years, most recently as Head of Private Banking for Butterfield Bank, where he worked for over 10 years prior to joining Dart Enterprises. Chris’s philanthropic work is well known in the local community and he currently serves in leadership roles on numerous boards and committees. He is currently the Chairman of Cayman HospiceCare, Commandant of the Royal Cayman Islands Police Service Special Constabulary and Director of the Young Caymanian Leaders Foundation. He is a recent Past President of the Cayman Islands Chamber of Commerce and has previously served as Chairman of the Grand Cayman Labour Tribunal Board and Chairman of a local Private School’s Board of Governors.